AMD has a secret. Or so it seems. If rumors are to be believed, their 3 core (8000-series) and 4 core (9000-series) CPU’s they have six "secret" pins that will enable a user to overclock their CPU’s. AMD's Phenom processors will supposedly posses a half a dozen "hidden pins" which can enable easy overclocking when paired with the right chipsets. Yeah, this sounds way too much like some sort of "Up / Down / Select / Start" sort of fantasy boost. The actual overclocking is done either through the BIOS, a utility, or simply by pressing a physical button on certain motherboards. The release date of this technology is unknown, raising suspicion over this being a rumour. But then its AMD.... noboby can predict anything!! There you have it: An overclocking feature for AMD CPUs. It just does not get any more better than this. Now we just need to know how this overclocking feature will compare to Intel’s processors, how power consumption and heat dissipation will be affected and what that all means for AMD’s balanced platform marketing pitch. But the question is will this be enough to get AMD back in the ball game against the likes of Intel? It seems that AMD is once again struggling to maintain it’s market share. Being a victim of failed overclocking, as I mentioned in this post, I really hope AMD get their act right. 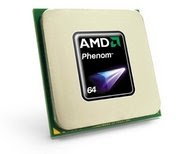 Go AMD!! You absolutely HAVE to READ THE NEXT POST!! !